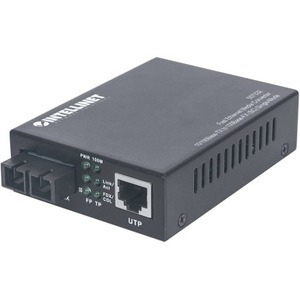 The Intellinet Fast Ethernet Single Mode Media Converter was specifically designed to offer the network designer a device for migration from copper-based Ethernet to Fiber Ethernet. Now migration or expansion of existing networks can be achieved with minimum cost and complexity. The converter is completely transparent to the network so the network performs exactly the way it did before - only now it can support both copper and fiber mediums.